At the end of the teaser trailer for Star Wars: The Rise of Skywalker, we hear Luke (Mark Hamill) say “No one’s ever really gone,” and then we hear a sinister laugh. While die-hard Star Wars fans immediately knew to whom that cackled belonged, others may be a bit confused. The laugh you hear at the end of the trailer belongs to Emperor Palpatine. In case there was any confusion, actor Ian McDiarmid, who played Palpatine in The Empire Strikes Back, Return of the Jedi, and the Star Wars prequels, came out on stage at Star Wars Celebration after the trailer played to greet the crowd. The return of Emperor Palpatine is a bit of a surprise since he was assumed dead at the end of Return of the Jedi. In case you need a brief refresher, Palpatine is using Force Lightning to torture Luke Skywalker to death, Darth Vader intervenes, picks the old guy up and throws him down a bottomless pit where an energy wave pulses out informing us that Palpatine is dead. Then the Death Star blows up so Palpatine is double dead. But, as Luke tells us, if “No one’s ever really gone,” then maybe Palpatine is alive! Or maybe he’s a Force Ghost! Or maybe there’s a Palpatine clone! The “how” of Palpatine’s return isn’t really as interesting as the “why”. I suppose with Snoke gone (OR IS HE?! ), Abrams felt that you needed another overarching villain, and who overarches better than the Sith Lord who slowly moved Anakin Skywalker to the Dark Side? Of course, Anakin’s story had some kind of closure when he killed Palpatine to protect Luke, and now it feels weird to open it back up again. Darth Vader is dead (OR IS HE?! ), so where does Palpatine factor into the story? And does the story really need him at all? One of my issues with J.J. Abrams as a storyteller is that he tends to look backwards rather than forwards, and digging up an old villain rather than simply placing it all on Kylo Ren (Adam Driver) seems like another nostalgia play. Abrams could kind of get away with that nostalgia in The Force Awakens because Star Wars was looking to earn back the goodwill of fans. But we’re now in the closing chapter and we have to go back to Palpatine again? 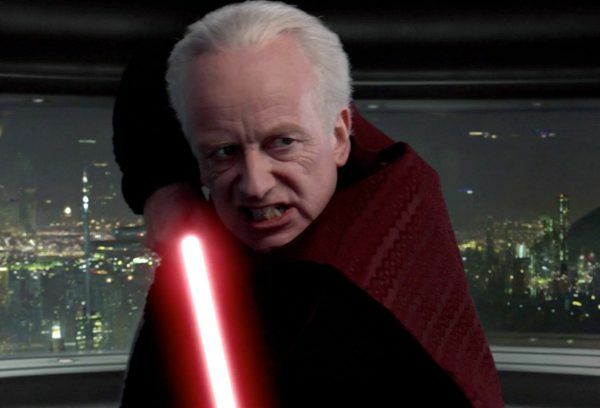 McDiarmid’s performance is one of the few bright spots of the prequel trilogy, but Palpatine’s not a particularly interesting character. He’s just an evil dude, and if you’re looking for an antagonist, you have a much stronger one in Kylo Ren. We’ll find out what’s going on with the Emperor when Star Wars: The Rise of Skywalker opens on December 20th.